The Government’s Innovation Superclusters idea is a winner with universities. A year ago, Canadian Prime Minister Justin Trudeau toured Silicon Valley, exhorting tech companies to move north. One lure, certain to tempt firms that annually snap up the 85,000 temporary work visas issued by the U.S. government, was Canada’s offer of a fast-track visa for high-skilled, short-duration workers. 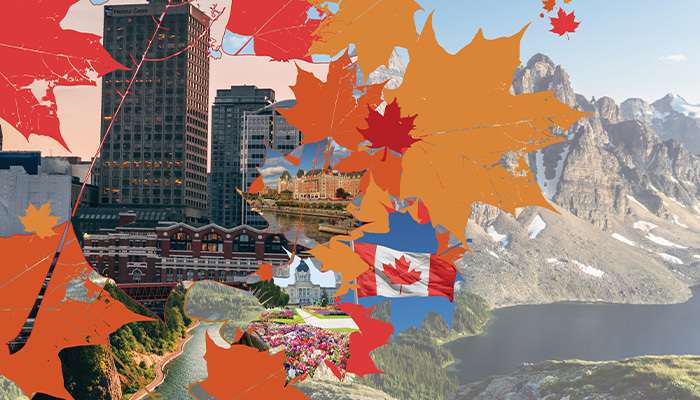 But there’s more to Canada’s bid to bolster its competitiveness in various key technologies. At about the same time as Trudeau’s California charm offensive, Canada announced plans to create five regional hubs across the country in which businesses and academic institutions would collaborate in spurring technological development and creating new business opportunities. The concept isn’t original. The Fraunhofer Society in Germany has been promoting an industry-academic collaboration for 70 years. It’s now a $2.6 billion a year endeavor. In the United States, then Energy Secretary Steven Chu in 2009 launched a series of Energy Innovation Hubs, bringing together top researchers in multiple disciplines from academia, industry, and the government laboratories to overcome technological barriers to energy innovation. The Obama administration followed that with the National Network for Manufacturing Innovation—later called Manufacturing U.S.A. The network comprised 14 public-private partnerships, with university participation, in fields ranging from robotics to textiles, and composite materials to regenerative medicine, each intended to turn emerging technologies into manufactured goods. The Pentagon, in turn, formed the Defense Innovation Unit Experimental (DIUx, later just DIU), to capture innovation emanating from Silicon Valley and other high-tech centers. But for Canada, the Innovation Superclusters, as the project has been dubbed, is a big deal. Navdeep Bains, minister of innovation, science, and economic development, calls it a “made-in-Canada Silicon Valley that will produce tens of thousands of jobs.” The government says it will invest up to $715.5 million (U.S.) over five years to support the superclusters, money that will be matched dollar for dollar by industry. Bains expects substantial payoffs, estimating that the superclusters will add $50 billion to the country’s economy over the next decade. Colleges and universities that want to have a seat on the board of a supercluster also have to contribute financially or in kind. While institutions are coy about how much they’re prepared to provide, academics contacted by Prism sound enthusiastic. Paish explains, “We have a very good track record in this country of producing start-ups and small enterprises, but then they dissolve and or get bought out. If we don’t learn how to scale them, we are not going to improve the competitiveness of the country, so making that a criterion in the evaluation of a project is very important. This isn’t about creating a platform where small businesses can get bought by large businesses.” In order to achieve that goal, proposals must be made by consortia of a minimum of three companies, one of which has to be a small- or medium-sized enterprise (SME), which is defined as fewer than 500 employees. Evaluation of each project is done both internally and by external independent reviewers, including international organizations. The other three superclusters are Ocean, which will concentrate on areas like marine renewable energy, fisheries, and renewable energy on Canada’s East Coast; Advanced Manufacturing in Ontario, dedicated to fields like 3-D printing and next-generation manufacturing techniques; and Protein Industries, based in the agriculture-rich prairie provinces, which will focus on plant genomics and efforts to make the country a leading source of plant proteins. Pierre Home-Douglas is a freelance writer based in Montreal.